The Japanese automobile manufacturer, Suzuki, has a rich history dating back over 100 years. Right from the beginning in the Suzuki history, the company is recognized for providing reliable cars. From the small family business started at the beginning of the 20th century to the international corporation the company is known as today, the company’s commitment to providing reliable, powerful and fuel-efficient vehicles at an affordable price has remained constant. So let’s read more about the Suzuki logo, the company history timeline and their current cars line up. The company was incorporated by Michio Suzuki in 1902 and was first known as ‘Suzuki Loom Works’ which produced looms for the silk industry in Japan. The company was a huge success and by 1920, the company was reorganized and incorporated as ‘Suzuki Loom Manufacturing’ with Michio as president. By 1922, the company had grown even more, due to the innovation and superior quality of their stock. For years, the company continued to produce looms and by 1940, the company had its own plant in Kami-Mura. In 1942, the company sustained serious damage because of the Second World War and by 1945, they were forced to shift the office to another site. 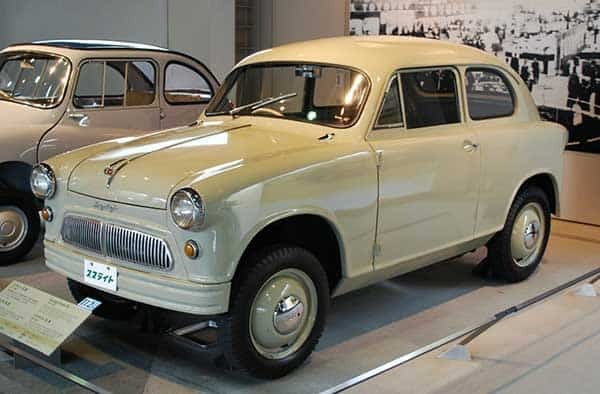 In 1950, labor difficulties caused a financial crisis for Suzuki and this is when the company spotted a niche in the transport market for affordable and reliable vehicles. In 1952, the company entered the motorcycle industry and introduced the Power Free and Diamond Free bikes. Two years after, the company changed its name to Suzuki Motor Co. This is when the company finally decided to focus on the automotive industry as well and in 1955, the company introduced its first vehicle, Suzulight. Following the success of their first vehicle, they adopted the ‘S’ mark as its corporate emblem. In 1959, the company introduced the Suzulight 360cc, 2-cycle mini commercial vehicle, and side by side maintained its interest in bikes, thus introducing the famous Colleda Sel Twin 125cc with an electric starter. A few years later, the company established a plant in Toyokawa, Aichi for lightweight trucks. Therefore, Suzuki began producing commercial vehicles as well. Throughout the 60s, the company’s motorcycle division was also a raging success and many new bikes were introduced. In 1967, the manufacturer introduced the famous Fronte 360cc which was a two-stroke mini vehicle. In 1970, the company finally decided to build an automobile plant in Kosai, Shizuoka. That same year, the company mass produces its first domestic 4×4 mini-car, the LJ10, which featured a 360cc twin cylinder air-cooled two-stroke engine. In 1972, the company decided to sell parts and expanded its business even more by establishing the Suzuki Parts Manufacturing Company. By 1975, however, due to the delays in compliance with car emission regulations, the company started facing numerous difficulties. In 1976, Suzuki released its new vehicle, the Fronte 7S 450cc, 2-cycle minicar and the GS motorcycle series. A year later, the all-time famous Cervo 550cc mini-vehicle was announced and the famous LJ80 was launched which featured a four-stroke 800cc water-cooled engine. In 1979, the Alto two-stroke was announced. This vehicle was a raging success worldwide, placing the company seventh among the top automobile manufacturers in Japan and has had eight generations produced subsequently. In 1980, Suzuki Australia Private Limited was incorporated in Sydney. The next year, their consolidated sales exceeded ¥500 billion and the new Jimmy 4×4 mini vehicle was introduced. In 1982, the company entered into a contract with Maruti Udyog Limited in India. A joint venture was then created, which is now popularly known as ‘Maruti Suzuki’. The same year, Suzuki signed a contract with Pakistan Automobile Corporation (PACO), thus Pak Suzuki was established. In 1983, a second automobile plant for compact cars is built in Kosai, Shizuoka and the Mighty Box 550cc was introduced. Two years later, the American Suzuki Motor Corporation was established and the sales of the Alto second generation exceeded 1 million units. Additionally, the company began production of vehicles in Santana, Spain. In 1986, Suzuki signed an agreement with General Motors of Canada and established a joint venture company. A year later, their annual global car sales exceeded 1 million units and car exports from Japan reached almost 2 million units. 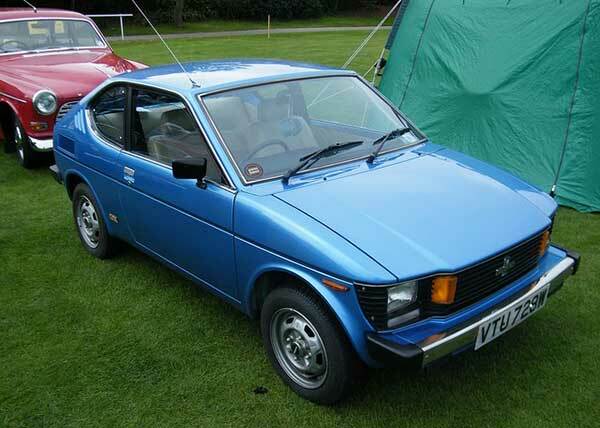 Additionally, it was during this time that the famous cars Cultus, Swift, Escudo, and Vitara were introduced. All these cars were huge successes worldwide. In 1990, the company changed its name to the Suzuki Motor Corporation (current name) and the consolidated sales reach ¥1 trillion. By 1994, the aggregated sales of vehicles sold by the company in Japan exceed 10 million units. As the years passed, the company’s sales kept increasing and breaking new records and at the start of the new century, in 2000, the corporation celebrated its 80th anniversary. 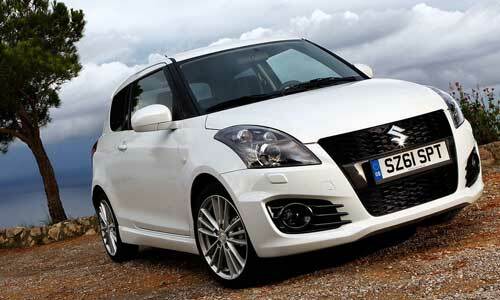 In 2003, the overall sales of the company exceeded 30 million and the same year Suzuki introduced its new concept for the second generation Swift. In 2009, the company celebrated its 100th anniversary and introduced the famous pickup truck, the Equator. In 2012, the company signed a deal with Intelligent Energy of Loughborough, to accelerate the commercialization of zero-emission vehicles. Today, Suzuki is one of the largest automobile manufacturers in the world, expanding its business to almost all major car markets in the world. Not to mention, the company has a yearly production rate of 2,878,000 automobiles and 2,269,000 ATVs and Motorcycles. Additionally, the company has numerous subsidiaries namely Suzuki GB PLC, Suzuki China, American Suzuki Motor, Suzuki Canada, Pak Suzuki Motor, Magyar Suzuki and Maruti Suzuki. Michio Suzuki, the founder of the company established the company in a small coastal village in Japan. Who can believe now that Suzuki used to manufacturer looms? As you can see from the Suzuki history, the company played its game quite intelligently. From a manufacturer of looms, the company is now one of the leading and top manufacturers worldwide.